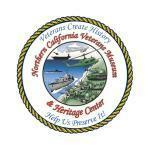 The Northern California Veteran's Museum & Heritage Center is dedicated to the preservation and promotion of Veterans of all branches of the United States Military and is designed to honor the history and traditions of the branches. The Museum is currently located in Anderson but is in the transition of moving. Pleaes call ahead before visiting. Check out the map for your best route to get there. Follow the Museum on Facebook for updates. There are also some great Art Galleries in the area that are worthy of a visit. Our Event Calendar is loaded with exciting upcoming events in and around Anderson. Shasta County is also home to some wonderful Parks, Sports & Rec opportunities and unique Things To Do. If you're looking to get on the road, our Road Trip section is full of fun things to do no matter what direction the wind takes you.